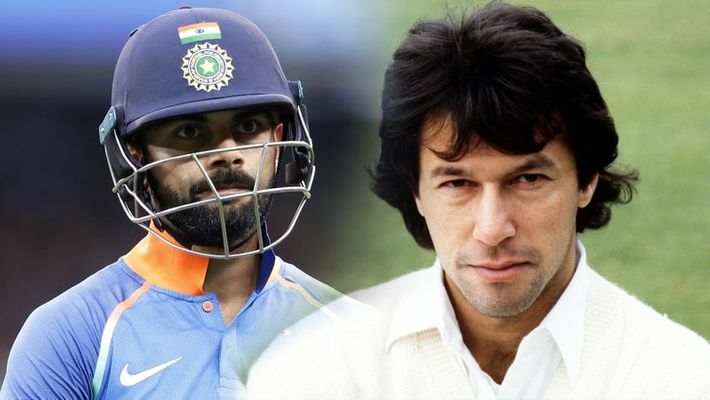 Karachi: Former Pakistan leg-spinner Abdul Qadir has said that he sees lot of similarities between Indian skipper Virat Kohli and former Pakistan captain and the country's Prime Minister Imran Khan. "If I look at Virat Kohli as a batsman and captain... I can say he is similar to Imran in the manner that he, like Imran, sets an example by doing something himself and then expects his team to do the same," Qadir said on a TV show on Tuesday night. "I wouldn't compare the two (Kohli, Khan) but, if I look at Kohli, he also has this ability of leading from the front," he added. "Kohli also (like Khan) takes responsibility and performs and forces the other players to perform," Qadir said further. The spinner who played 67 Tests and 104 ODIs for Pakistan, many of them under the captaincy of Khan, was reacting to Indian head coach Ravi Shastri comparing Kohli to cult cricketing figures like Sir Vivian Richards and the iconic former Pakistan captain. "If I talk about Imran, the sort of personality he had and his ability to get performance out of his players... I don't think Kohli is there as yet. But no doubt the Indian captain also leads by example," he said. Considered by many as the best batsman of the modern era, Kohli recently led India to their first-ever Test series win in Australia and the Indian team under his leadership thrashed New Zealand 4-1 in the recently concluded ODI series. Qadir, however, was very critical of the current Pakistan Cricket Board (PCB) chairman, Ehsan Mani who has been nominated to the post by Khan in his capacity as patron in chief of the board as the country's prime minister. "I want to congratulate the Pakistani people and the PCB that they have got a Buzdar plus in Ehsan Mani,” Qadir said referring to Punjab chief minister Usman Buzdar who has been ridiculed in the media for failing to find solutions to problems. Qadir claimed that just like Buzdar, Mani too has failed to resolve issues threatening Pakistan cricket. "I blame Mani for playing with Test cricket and destroying it in Pakistan. He has no concentration on this format of the game and similarly they are playing with the Quaid-e-Azam first-class tournament in domestic cricket," Qadir alleged. Backing the decision to retain Sarfraz Ahmed as captain for the 2019 World Cup, the leg-spinner said that Mani's press conference on Tuesday to make the announcement had raised many questions. He pointed out that Mani and the board had earlier said that the captain of the team for the World Cup would be decided after the Pakistan Super League (PSL) and that the appointment is made on a series to series basis. "What happened now... all senior players had said Sarfraz should be captain. But what happened to the old statements of the board? Why didn't they announce it earlier when Sarfraz returned from South Africa," he questioned. The leg-spinner blamed Mani and the board for creating confusion by making announcements and then taking U-turns. "Whenever Mani has spoken to the media, he has created confusion," he said.